We have really experienced this truth over the past 9 days. Especially the first part. Last Monday, I (Cindy) was in a waiting room at 7am, almost ready to have my much-anticipated knee surgery, when the nurse comes in and tells Jason & I that we are pregnant. Whhhaaat??? That's not what I came here for! I want a new ACL, not a baby! I was speechless for a good 3 hours, as I tried to process this unexpected change of plans. We knew there was still a high risk of miscarriage b/c I was only a few weeks along at that point, but we decided to go ahead and tell people, b/c they'd be asking about the surgery anyway and we didn't want to lie. So I grew more excited as we told our family and close friends that we were expecting a little Lofton at the end of June. We even started throwing around possible names, like 'Allegra' and 'Viagra'. As the week progressed, the more hope I felt and the more I was really accepting the fact that we were going to have a kid. Well, that hope was quickly deferred this past Saturday when I started having a miscarriage. We know for certain today that it's a miscarriage after getting 2 blood tests done, but I knew deep in my gut on Saturday when it started, something in me began to grieve. It was grief that I've only felt when my Granny and my best friend from high school passed away. So I think God was preparing me then for this hope to be deferred, but it still hurts. But He doesn't leave us there, heart sick over deferred hopes. 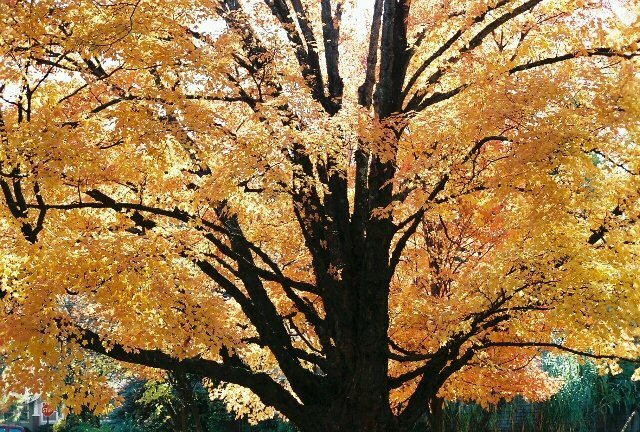 He promises that a longing fulfilled will be a tree of life, like the picture displays. So I guess I'm about to learn the truth of the second part of that proverb. And I know it's always to long for Him and the things of Him. For those of you who have been 'in the know' this past week, thank you for your support and many prayers. We are thankful not to be alone in this. It's definitely been a wake-up call in many ways, esp. for me, so that is good. But a rollercoaster at the same time. Anyway, i just needed to write some of that out to help me process, and to inform those of you who actually read our blog but didn't know what was going on. We're continuing to pray for you guys. We love ya'll. thanks for sharing. cindy darling, what a ride. you have a beautiful attitude about it though. God will give and He will take away. Learning how to accept and deal with that is a big part of growing up for me. i love you, i'm sorry for the loss, but happy for your experience and growth. Jason and Cindy--s sorry for your loss. We will pray for you. I know God will comfort and strengthen you in the days to come. Hope to hear from you again soon. Cindy, I don't know you, but visit your site frequently through the Nelson blog. I just want you to know that I am praying and interceding for you and for Jason. I have had 3 miscarriages in about 3 years, and I truly know your grief,your feelings, emotions, ect. as I am still in the process of sorting through how the Lord wants me to use this for His glory. I found the song 'I Believe' by Jeremy Camp to be of so much encouragement. Anyway, please let me know if there is anything you need. I know we don't know each other, but we are in the same family in the Lord. That is not how things are supposed to be... Death is not natural, it is not ok and it is not God's design. It is a horrible result of a broken world. We were created to last, to be brilliant and beautiful forever. In John 11, Lazarus dies and Jesus weeps with Mary and Martha. Tim Keller says that in the Greek, the bible says “Jesus, quivered with rage” at the thought of Lazarus’s death. We can have hope (“life-altering certainty” to use another Tim Keller definition) in God redeeming this world and us but death still hurts. Leah and I are grieving with you… I HATE that you have to experience that and I am so sorry. I can't imagine what you're feeling but will be praying for you as you continue process and heal. We're here for you and I love you. Allison and I understand, as we had a miscarriage with our first. We also know that there are no words of comfort that can suffice, other than to know that your friends, family, and brothers & sisters in Christ are praying for God to comfort you with his peace that transcends our understanding.